Rules regarding challenges to complaints changed significantly in 2016, with the enactment of Code of Civil Procedure § 430.41, and the amendments to Code of Civil Procedure §§ 472 and 472a. . Before January 1, 2016, if a party objected to a complaint, cross-complaint or answer, they could file a demurrer and follow the regular motion process to ruling. Now, a party planning to demur is faced with strict meet and confer requirements, which are geared to avoid the demurrer entirely. Both parties are required to participate in the meet and confer effort and observe new limits on the right to amend. These changes are intended to limit the number of demurrers heard in California’s already overburdened courts, so judges will be taking compliance seriously. The best approach is to call your opposing counsel or schedule an in-person meet and confer meeting before sending a letter. Then you will know if you have to write a lengthy meet and confer letter, or simply document the terms of your agreement to resolve your objections to the pleading. Act quickly to initiate the meet and confer process, and make sure to set limits on your opposition’s response time. Under the new rules, the meet and confer must be completed within five days of your deadline to file a responsive pleading, unless you obtain an extension (CCP § 430.41, subdiv. (a)(2)). A thirty-day extension is available under CCP § 430.41 if meet and confer efforts take longer than expected by filing a declaration. The extension starts on the day the demurrer or responsive pleading was originally due. Any further extensions require a court order based on a showing of good cause. Take careful notes during the meet and confer process, as you need to describe these efforts in a declaration if you ultimately file a demurrer. Expect that any email, letter or fax you exchange with your opposition will end up in front of the judge, as an exhibit to an opposing declaration. As meet and confers are required before demurring to amended pleadings, take note whether the other side is amending in good faith or to delay and harass. 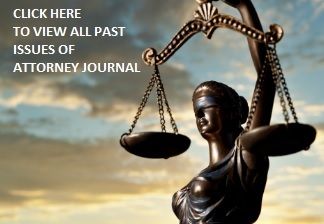 Keep in mind that if you ultimately file a demurrer and the court sustains your demurrer with leave to amend, you cannot file another demurrer on “any portion of the amended complaint, cross-complaint, or answer on grounds that could have been raised by demurrer to the earlier version” of the pleading (CCP § 430.41, subdiv. (b).). The opposing side can no longer file an amendment after the due date for their opposition to your demurrer without a stipulation documenting your agreement (CCP §472, subdiv. (a).). The 2016 laws also set a new three amendment limit for a complaint or cross-complaint, which limits the court’s ability to sustain a demurrer with leave to amend. The court can only grant leave to amend, in excess of the three-amendment limit, if you can demonstrate the additional facts create a “reasonable possibility” the defect in the pleading can be corrected to state a cause of action (CCP §§ 430.41, subdiv. (e)(1) and 472a, subdiv. (c).). This rule also applies if you file an amended pleading by way of a stipulation. Include language in your stipulation that the amended pleading contains additional facts that cure pleading defects or risk rejection of your amendment. (b) after a case is deemed at issue, which occurs once every cause of action in your complaint, or cross-complaint, is responded to by way of an answer (CCP § 430.41, subdivs. (e)(1) and (2).). For example, the three-amendment limit in CCP § 430.41 does not apply to an amendment made without leave of court before the first demurrer is filed under CCP §472, subdiv. (a), or to a motion for leave to amend filed later in the case. Courts have eagerly anticipated the enactment of these rules as a means to ease their burden. Your compliance, or lack thereof, can set the tone of your case. Make sure to review the rules carefully, or enlist the help of an experienced litigator when needed.